DMMQG’s exhibition at the Rocky Mountain Quilt Museum is right around the corner! Guild member Kari Vojtechovsky has created the most beautiful postcards promoting the show. Our September business meeting took place at the Broomfield Community Center, with 15 members and 3 visitors attending. Be sure to check out our Facebook page for photos of this month’s Show & Tell! DMMQG will be participating in the QuiltCon 2018 Charity Quilt Challenge, and we are seeking participants. QuiltCon entries are open until Nov. 30th. Nominations will be taken for 2018 Board Members in November. Please volunteer! Show postcards were distributed to those who have volunteered to contact other guilds and local shops. Thanks to everyone who has volunteered to help with this! 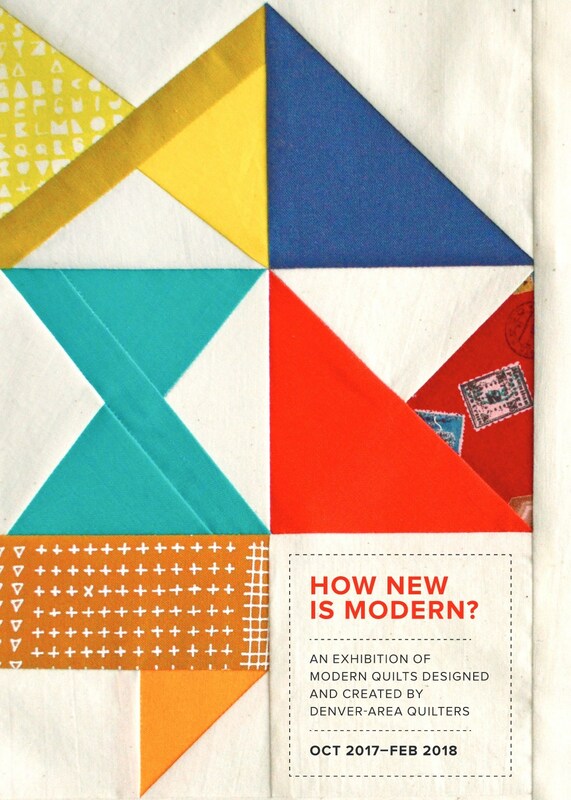 Just a reminder: the opening celebration for the “How New is Modern?” show will be on October 27th, 6:00–8:00 PM. Thank you to Erin, who demonstrated silk-screening techniques at tonight’s meeting. The October meeting is scheduled for Oct. 11th at Fancy Tiger Crafts. Pam Walsh will present on judging quilts, and we’ll have a lively show-and-tell. Hope to see you there!